John “Bo” Carter King, 72, of Pasadena passed away on December 12, 2018. John was born on September 15, 1946 in Annapolis to the late John Carter and Marie Agnes (Adamecz) King. He grew up in Annapolis and graduated from Annapolis High School. He enlisted in USMC and served in Vietnam. After his honorable discharge from the USMC he enlisted in the United States Air Force. 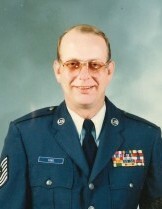 John had a very distinguished career in the Air Force and retired after 22 years of service as a, Senior Master Sergeant. John went on to working in IT at Fort Meade in the recruitment department, while taking classes and ultimately earning his Bachelors’ degree. In years past he enjoyed spending time with family and going fishing. He married the former Lisa Chong Hong and was a faithful and loving husband to her. He was preceded in death by his parents; sister, Patricia Hausmann, and Alice Dalton. He is survived by his wife of over 40 years, Lisa King; brother, Ray King; sister, Charlotte Freas; numerous nieces, nephews, other relatives and friends. The family will receive visitors at Singleton Funeral & Cremation Services, P.A., 1 2nd Ave, S.W. (at Crain Hwy), in Glen Burnie, on Wed., Dec. 19th, from 7-9 PM. Funeral services will be on Thurs., Dec. 20th, at 10 AM in the funeral home chapel.